David had grown up in Portsmouth and had joined his hometown club in 1980. His opportunities at Portsmouth were somewhat limited though, and he finished his time there with just a fifteen minute substitute appearance. He subsequently joined Fareham Town where his prolific goalscoring brought him to the attention of several top flight clubs. Tottenham Hostpur took the chance and signed him in 1983, and he spent two years at White Hart Lane before joining Oxford United. After four seasons at Oxford during which he had a spell on loan with Shrewsbury Town, he joined Reading in 1989. 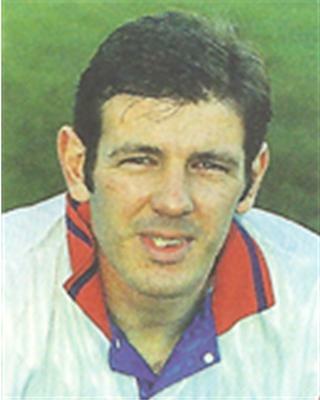 David made the decision to drop down to non-League football in 1992, and joined Farnborough Town, before a move to Dover Athletic. In January 1997, he was signed by Diamonds for £15,000 becoming one of Roger Ashby’s last signings and he had an immediate impact with his goalscoring exploits. After scoring three times in his first four games he further increased his popularity with the Diamonds fans by scoring twice in their 5-1 win over Kettering Town, one of which was from 35 yards. 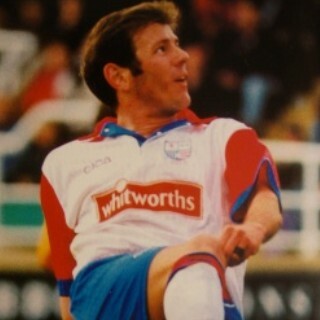 His goals helped take the Diamonds out of the relegation places in the Conference that season. 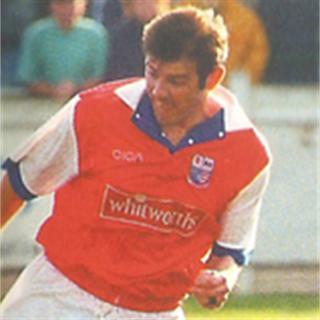 At the end of the season however, he didn’t feature in new manager Brian Talbot‘s plans, and he was sold to Kingstonian in May 1997 for £18,000. He made two FA Trophy final appearances at Wembley during another successful period in his career, before moving to Havant & Waterlooville where he also spent time as player before retiring and becoming their manager. He came out of retirement briefly in 2006 to rejoin Kingstonian for a short spell, before going into coaching with Croydon Athletic in 2007. He went into management again, this time with Banstead Athletic in December 2007, and Croydon in the Kent League in October 2008, but he took a back-seat role there in January 2009 due to work commitments. During his time in football, he is understood to have scored a massive 457 goals in 830 games including all his reserve team matches for various clubs.